A total of 442 complaints have been filed with the Norwegian Armed Forces during Joint Trident 2018, a NATO drill said to be the largest in decades. Some have drawn attention to foreign soldiers relieving themselves near kindergartens, schools and sports facilities, national broadcaster NRK reported. Most of the complaints are from farmers whose plots and pastures have suffered damage from vehicles during the drill. Others, by contrast, lament the unsanitary conditions left by NATO soldiers. "This is terrible, it's about having common decency. We have to clean up after soldiers who have relieved themselves. It's literally a s****y job", Major Marianne Bø responsible for damages and environmental protection during the NATO exercise, told NRK. According to Bø, the Norwegian Armed Forces received a handful of similar complaints over US and Swedish soldiers defecating near public places, such as schools or sports arenas. "In fact, we have a system for treating this problem. The soldiers bring their equipment to clean up afterwards. But next time we have a major exercise, we must tighten the rules", Bø reflected. According to Bø, complaints from farmers, whose land was destroyed by the heavy vehicles, were more expected. "Some were really angry, while others were more understanding", Bø explained, pledging to 'clean up' and 'make up for the damage caused'. Trident Juncture spokesman Eystein Malkenes Kvarving regretted the destruction and the unsanitary conditions left by the drill. "Sometimes unfortunate things happen which are not planned. Of course, it is not okay for people to relieve themselves in public areas. I would like to apologise for it," Kvarving said, pledging to hear out all the complaints seriously. Despite the number of complaints, however, most Norwegians appear to remain positive regarding NATO. According to a survey conducted by the Armed Forces, the support from the population has risen from 64 percent before the start of the drill to 69 percent. Norway's Chief of Defence Haakon Bruun-Hanssen argued that the exercise has been a success, and that the soldiers exhibited a good performance and behaved themselves well during the drill. US Admiral and Chief Commander of Trident Juncture James Foggo was delighted with the fruitful exercise and wished for more to follow. "This exercise has given us a lot. We have learned a lot about the weather in Norway and we have created lasting relationships", Foggo said, as quoted by NRK. 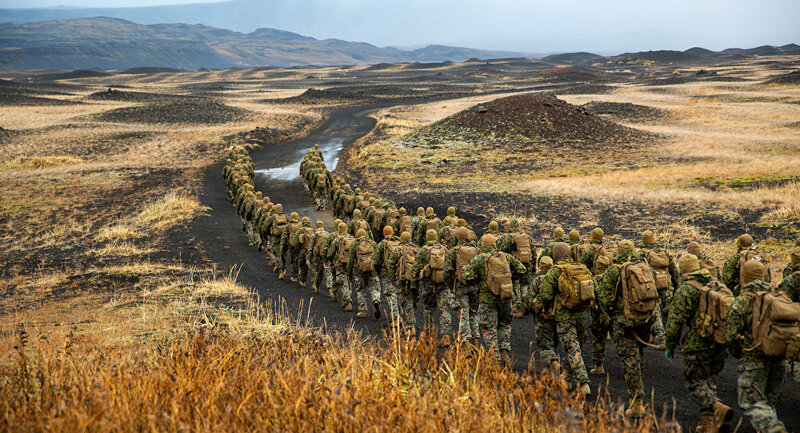 NATO's Trident Juncture drill, which involves over 50,000 soldiers from over 31 countries, including formally non-aligned Finland and Sweden, is the largest to take place in Norway in decades.